The Cape Colonial provides its guests with an ideal location to discover and explore Cape Town and its surroundings. 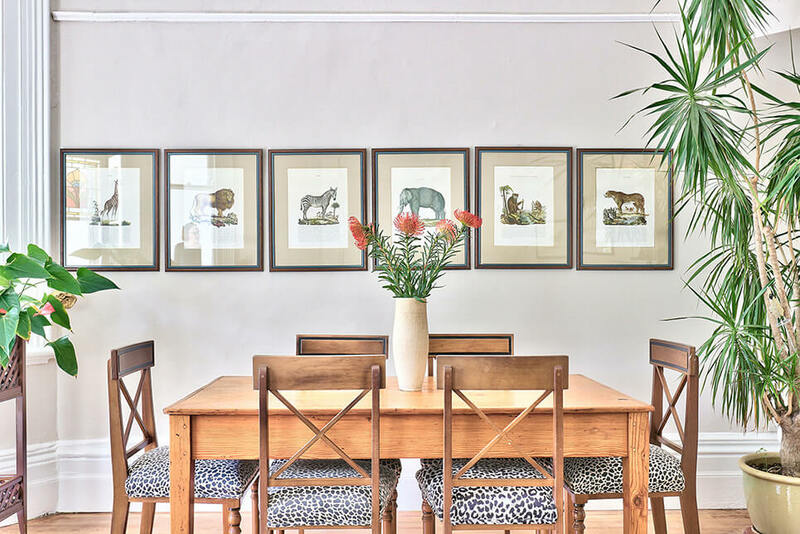 Located in Gardens in Cape Town, this restored Victorian house is just a few minutes away from the beautiful Company’s Garden . It is a central and safe location - perfect for guests who want to explore the city and its surroundings on foot. Kloof Street, with its numerous good restaurants and coffee/breakfast shops, is just around the corner and offers a safe and enjoyable evening out. Since we support our neighbourhood coffee shops with their excellent breakfast options (some offering breakfast as early as 6.45am) the Cape Colonial does not serve breakfast. We do however have coffee and tea making facilities and offer a mid-morning muffin or home made banana bread with coffee or tea to set you off on a wonderful day in our beautiful city . Also nearby is the Mount Nelson stop for the highly-recommended city sightseeing tour as well as public transport to the Waterfront, Hout Bay etc.